Mrs. Turman is the Founder, President and Chief Executive Officer of Integrated Finance and Accounting Solutions LLC an award winning government contracting consulting firm. 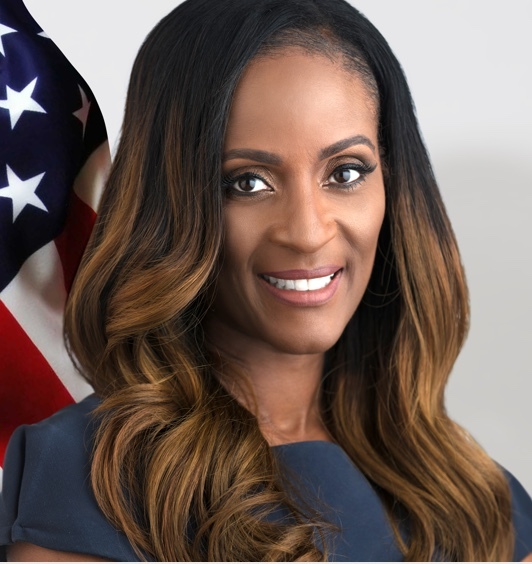 With over 20 years of experience as an Army Finance Officer and consultant in the areas of military accounting and financial management, Mrs. Turman has grown IFAS from a one-woman consulting firm to a highly regarded, employee oriented, multi-million dollar firm. Under Ms. Turman’s leadership, IFAS has rapidly become a recognized name that federal agencies and industry leaders have grown to trust to solve the toughest problems providing the best solutions. Mrs. Turman sets the strategic direction of the company and has led and supported numerous clients in a variety of consulting roles, including projects to develop plans for implementing strategies, automating and improving processes, and measuring performance. She is an accomplished executive with a proven record of successful leadership and management experience encompassing strategic and operational planning, finance, personnel management, training, and program management. Mrs. Turman has been instrumental in creating value, significantly improving revenues, and enhancing return on investment at IFAS. In addition Mrs. Turman is also a Women Impacting Public Policy (WIPP) Advisory Board Member, Enterprising Women Magazine Advisory Board Member, a member of the Association of Military Comptrollers Small Business Committee, member of the Association of Governmental Accountants, member of the Women Presidents Organization (Northern Virginia Chapter), and a member of the National Defense Industrial Association. She is also a former board member of Women Veterans Interactive (WVI). Mrs. Turman is a veteran of the US Army and has traveled throughout the US and abroad serving her country. She is a war veteran of Operation Desert Shield/Storm where she served in Saudi Arabia in 1991 and in Operation Iraqi Freedom where she served in Iraq from March 2004 – March 2005. Mrs. Turman is a strong believer in giving back to the community and demonstrates this by donating time and resources to several causes such as Acts, Brown Santa, Toys for Tots, Back to School Drives, Vaughn Elementary Young Ladies of Distinction mentoring program, Blue Star Moms, and several others. 2015 Awardee, Enterprising Woman of the Year, Enterprising Women Magazine; Awardee, 2015 “Partner in Education” Award, Prince William County Schools; 2015 Awardee, Dale City Multicultural Achievement Award for Business Leadership, Dale City Christian Church; 2015 National Partner of the Month (Feb 2015), Women Impacting Public Policy (WIPP); 2014 Awardee, SmartCEO Brava! Award; 2013 Awardee, National Coalition of 100 Black Women Northern VA Chapter Ebone Image (Business); Named Top African American-Run Companies (#11) on the 2012 Inc. 5000 list; Inc. 5000 honoree; Ranked number 704 on the “Inc. 5000’s Fastest Growing Privately Held Companies in America.”; Finalist, Small Business Administration Subcontractor of the Year, 2012; 2011Top 500 Veteran Owned Business, Diversitybusiness.com; 2011 Top 500 Emerging Business in America, Diversitybusiness.com; 2010 Top 500 Veteran Owned Business, Diversitybusiness.com; 2009 Awardee, Small Business Commerce Association Best of Business.